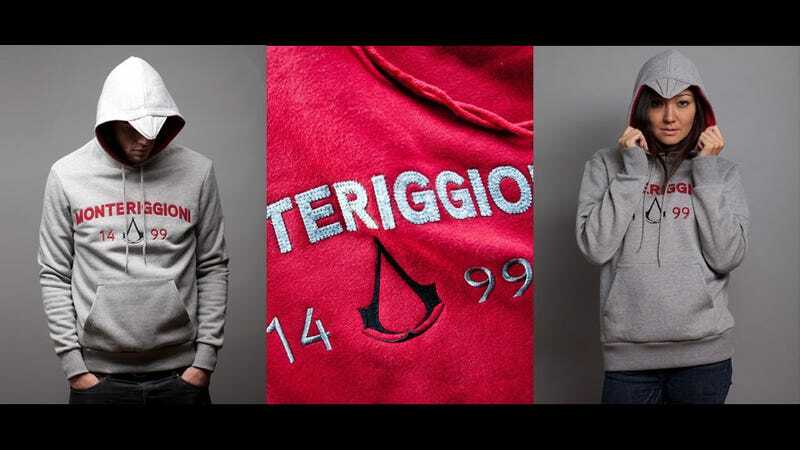 These new Assassin's Creed hoodies from British outlet Insert Coin are neither cosplay nor fashion. They're occupying a strange place in between. On the chest, there's a Monteriggioni 1499 motif, which is, well, it's OK. The Assassin's Creediness come in, though, when you flip the hood up, with the top designed to mimic Ezio's distinctive cowl. It may not give you the power to scale walls and stab Italians in the face, but it'll at least show you care enough about Assassin's Creed to pay USD$55-60 for the privilege.